A few years ago during the release of my film THE INNKEEPERS, I wrote an open letter about piracy and the effects it has on independent films. Particularly in the case of films that premiere first on VOD before being released in theaters. This distribution model is becoming more and more common in an effort to help smaller films reach as wide an audience as possible. You can read that letter in its entirety HERE, but basically the gist of what it said was: Paying for indie movies provides tangible evidence that there is a market for esoteric films, and that it’s important they be financially supported – not necessarily for the filmmaker’s bank accounts – but to prove to investors that there is in fact monetary value in all different types of filmmaking. It is about preserving sustainability. 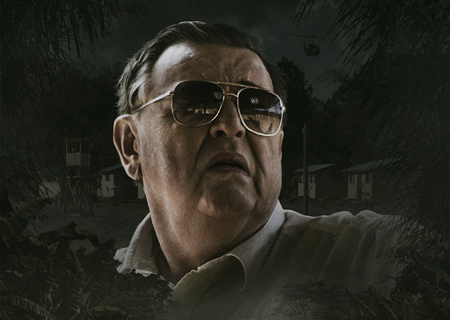 So instead of writing an all new letter, or simply reposting the old one, I thought that this time around, with the VOD release of my new film THE SACRAMENT, I would briefly address a couple of thoughts not fully articulated back in 2011. These seemed to be the two most common rationalizations for “illegal” downloads. Read the letter from Ti West in full here.